Sometimes, big things come in small packages. 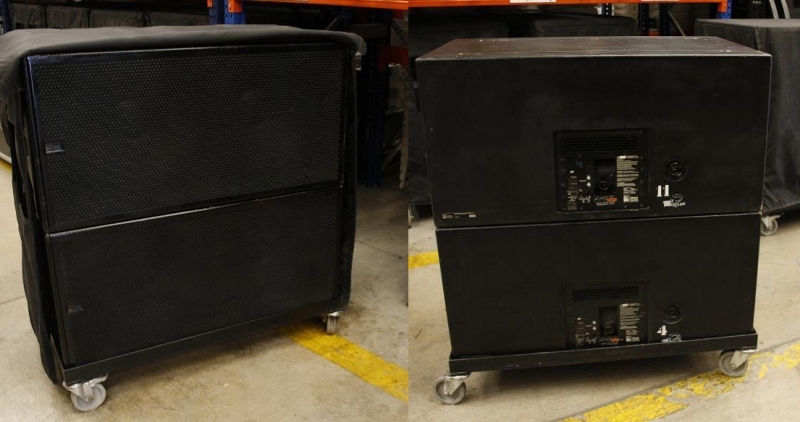 The M'elodie ultracompact high-power curvilinear array loudspeaker is a good example. 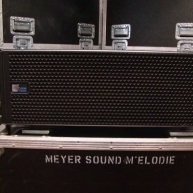 M'elodie is Meyer Sound's newest generation of a Strong family line: the celebrated M Series. 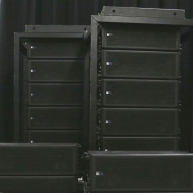 M'elodie brings the sonic signature and easy to use rigging of the MILO family of loudspeakers, along with an extraordinary power-to-size ratio to a package smaller than the company's MICA compact high-power curvilinear array loudspeaker. 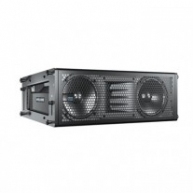 As a result, M'elodie is compact enough for small theatres, ballrooms and clubs, as well as being an outstanding performer in theatrical productions and corporate AV applications. 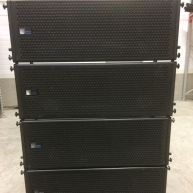 While M'elodie can be used as a main system in small venues, its broad 100-degree horizontal coverage makes it ideal for use in larger venues, too, as it is designed to integrate seamlessly with MICA. 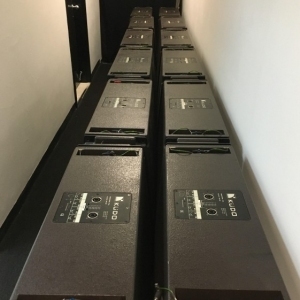 M'elodie's QuickFly rigging, which features captive GuideALinks for the maximum in flexibility and safety, make it easy to add as downfill to a MICA array, but individual M'elodie cabinets also work exceptionally well for frontfill or under-balcony coverage. Best of all, M'elodie's small footprint takes up little truck space. 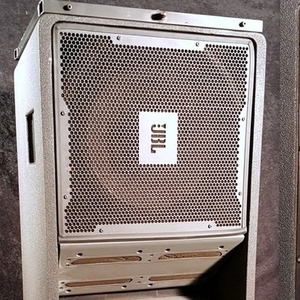 M'elodie is the latest self-powered loudspeaker from Meyer Sound, the company that introduced controller-assisted loudspeakers more than 27 years ago and self-powered sound reinforcement systems over 11 years ago. 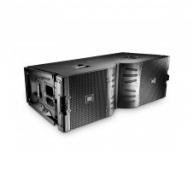 With an all-new low-frequency driver and amplifier, plus Meyer Sound's famous complex crossover, driver protection, and frequency and phase correction circuitry, M'elodie provides a reliable, low-distortion Solution for a key segment of the sound reinforcement market. M'elodie's diminutive size belies a powerful voice: conservatively rated at a maximum peak output of 131 dB SPL, M'elodie is capable of filling rooms much larger than one would expect. 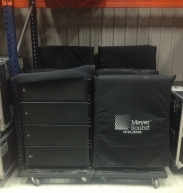 Melodie - Melodie in great condition with covers and dollies previously used in rentals. Melodie - Package of (24) Melodie in excellent condition. Melodie - Melodie in great condition. Minimum purchase of (2) units includes case. Priced per unit. Melodie - Package of (8) Melodie in great condition. Melodie Package - Package of (24) boxes, (4) frames and cases. Melodie - Melodie in great condition. Must purchase all 6 units. 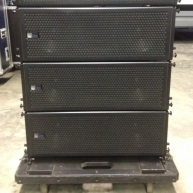 Melodie Package - Package includes a Galileo 616 and quad cases. From touring. Always checked over upon return. Melodie - Package of (16) Melodie in great condition. Previously used on various rentals. Melodie - Melodie in good condition, previously used in rentals. Melodie Package - Package of (8) Melodie, (4) Melodie, (2) top grid Melodie and (3) flight case for (4) Melodie. Melodie Package - Package of (8) Melodie, (3) cases and (2) MUB Melodie. 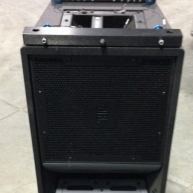 Melodie and HP650 Package - Bumpers, cases and cables included. Melodie - Package of (12) Melodie in great condition. Melodie Package - Complete Melodie package. Cleaned and tested. 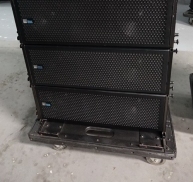 Melodie System - Corporate used Melodie system in excellent condition. Melodie - Melodie in excellent condition, previously used on an installation. Melodie - Meyer package including (16) Melodie, (5) 650-P, (2) bumpers , (8) UPM and (1) Galileo 616. Melodie - Package of (12) Melodie and (4) 700HP in mint condition.